One of the few rare albums on the Maple label – a 70s imprint that's known for some incredible funk and soul! 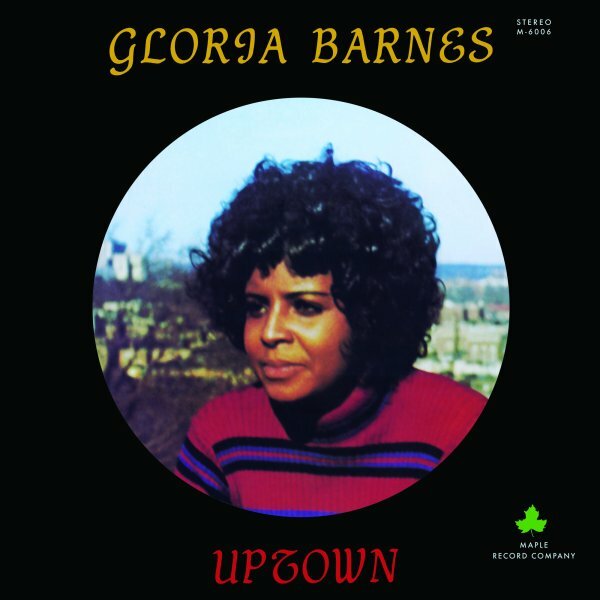 Despite the title, the set's a record that sounds a lot more down-home than uptown – thanks to hard-wailing vocals from Gloria Barnes herself, and a nicely rough-edged quality to the instrumentation overall – supposedly handled by Lee Moses and The Ohio Players – the latter of whom wrote a few of the songs too! The album's one of the few on Maple – and in a way, it's almost a female soul counterpart to the Lee Moses record on the same label – done in a similar mix of rootsy modes and east coast indie soul – occasionally sweet at points, but mostly deep soul overall. Titles include "Gotta Get Away", "I Found Myself", "Old Before My Time", "I'll Go All The Way", "She Wants A Stand In", and "You Don't Mean It". © 1996-2019, Dusty Groove, Inc.